A quartz crystal, 7 mm long, that clearly presents the phantom of growth. 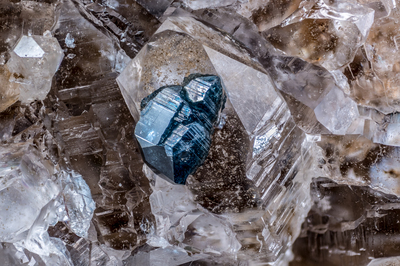 On it grew a light blue crystal of anatase that presents the tetragonal bipyramide and the development of the prism, which is not very common in the crystals of anatase. Collection and photo by Gianfranco Ciccolini.